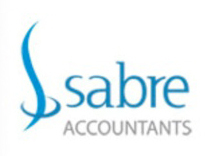 Sabre Accountants have partnered with Peninsula, the UK’s leading Employment Law and Health & Safety specialists to provide business owners complimentary consultations at their expense. A simple error or omission in policies and procedures, or perhaps a simple procedural error in the handling of an HR, Employment Law or Health & Safety matter can quickly become a much larger problem if handled incorrectly. For this reason, Sabre has partnered with Peninsula to ensure that all businesses they deal with have access to leading, expert advice by way of a complimentary consultation. Peninsula supports over 26,000 clients in the UK and Ireland. Simply, Employment Law and Healthy & Safety made simple!